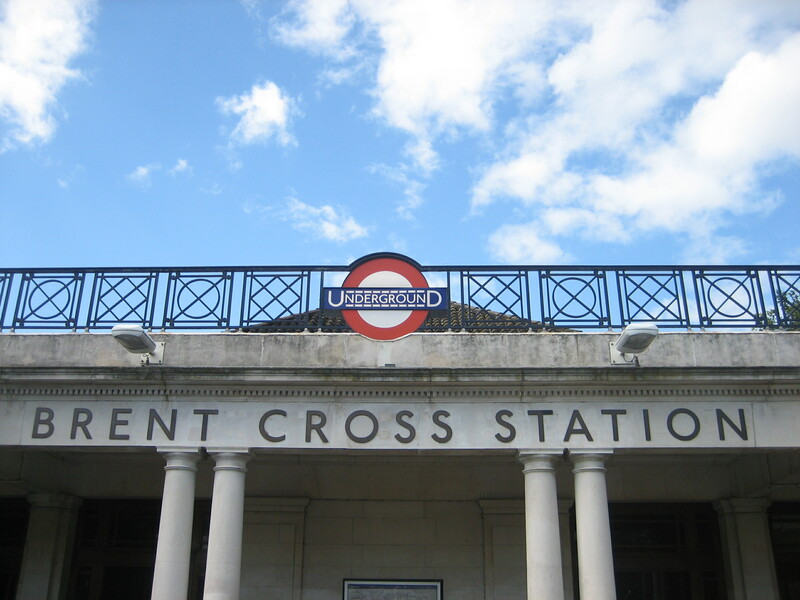 When the retail complex that shares this station’s name was opened in the 1970s, a problem was created that has yet to be solved: how to persuade people intending to visit Brent Cross shopping centre that they should not use Brent Cross Underground station. The two are far enough apart, with enough inaccessible and near-insurmountable road junctions in between, that it’s easier – and safer – for prospective customers to travel one stop further up the Northern line to Hendon Central and walk from there. Having once lived in the area for two years, I know this to be true. I also know that, as a consequence of the bungled planning and construction of Brent Cross shopping centre, local residents (not consumers) are blessed with a rather lovely station whose bearing sits wonderfully at odds with its neighbourhood. 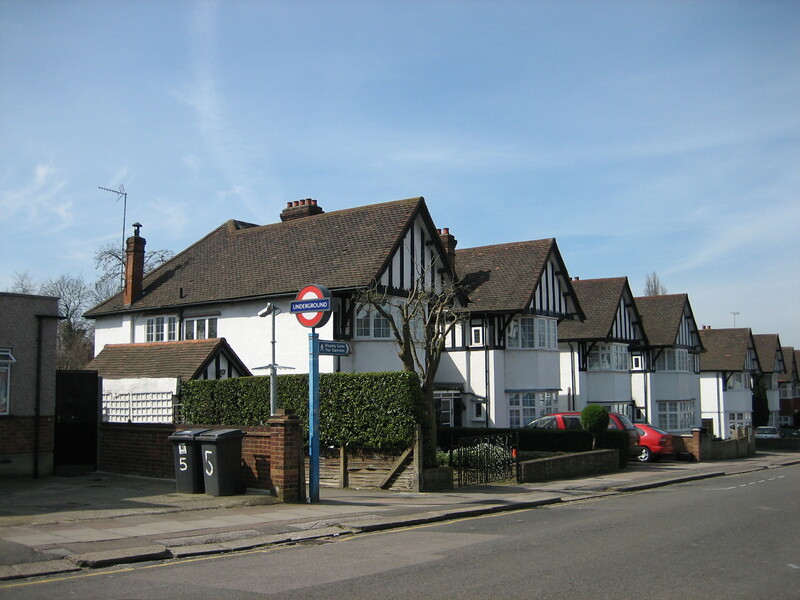 It was designed by Stanley Heaps, opened (as simply ‘Brent’) in 1923, and then as now defies the template of the surroundings. In its early days this meant radiating the deportment of an ornate cricket pavilion that has tumbled through time to the Roman era and back again, while all around was farmland. Nowadays this still means radiating the deportment of an antiquity-wrought sports venue, but in 1950s suburbia. The contrast is startling but a pleasure to witness in action. There’s something rather charming about the sight of barely-conspicuous folk using such a boldly conspicuous creation, with its stylishly-sparse colonnades and homely-tiled roof, and thinking nothing unusual of it. Imagine if you lived in that house right next to the entrance. You could stay indoors until your saw a train in the distance, amble outside, down the path, through the station and up on to the platform ready for the very moment the carriage doors opened. Granted, none of this is any use to you if trying to get to Brent Cross shopping centre. But then you shouldn’t have got off at Brent Cross station in the first place. I have been enjoying your blog very much, and it is fascinating to see what each new one brings. 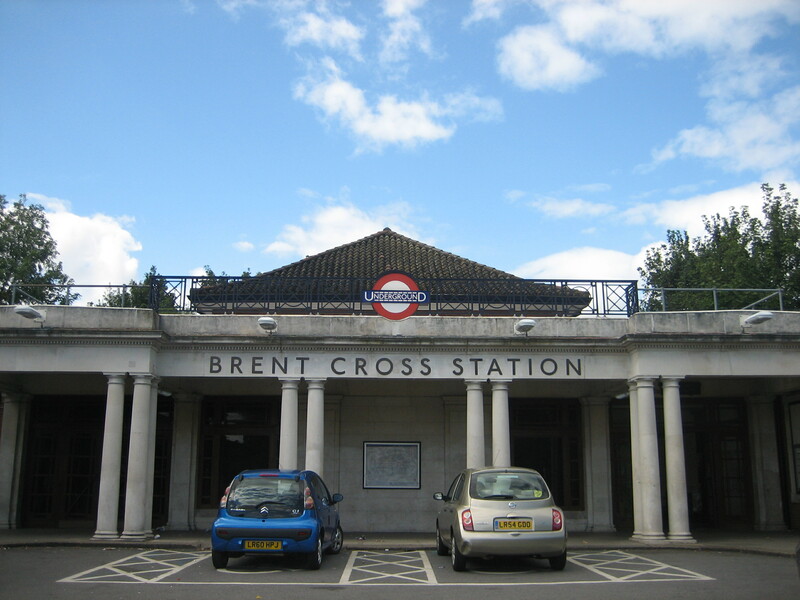 Brent Cross was born as just plain Brent in 1923 and only acquired its current title when the name ‘Brent Cross’ was invented for the shopping centre in 1976. I understand that the name originally proposed for the station was Woodstock. A feature that perhaps demonstrates its character when first built was the existence of passing loops to allow fast trains from Edgware to not stop there. Thanks James, glad you’re enjoying the blog. I’ve amended my post to say, as you rightly point out, that Brent Cross was initially called Brent. As James said, the easy way of not creating confusion (or at least not adding to it) would have been not to rename the station on the first place. I am also puzzled at the implication that the blessings users of the station may enjoy has anything to do with the shipping centre. On the very rare occasions I go there now, I am struck by how remarkably unchanged it is from my memories when it was my local station in the 1960s. That’s why they’re so blessed – because the shopping centre was built where it was, and not any closer. Had it been erected nearby, I doubt whether the station’s charm would still be quite so tangible nor the surrounding area seem quite so unchanged. Shoppers might not appreciate this situation, but I imagine residents do! “Brent all out of proportion”? The developers would demolish the houses alongside the station, and provide a bus turning circle, although they also say this new service would only be “temporary”. In the meantime, London Underground could sweep up the huge amount of litter in the forecourt a bit more often, and stop water oozing out of the railway bridge wall, and also out over the blocked guttering.